Country music and country musicians can boast of a large fan base; which is surprising as it deviates from mainstream music in sound. With country musicians winning numerous Grammies and topping the billboards with their records, they are arguably one of the most listened groups of musicians in the industry. The achievements of Chris Stapleton, a country singer-songwriter speaks to this statistic; keep reading to learn more about his background, career, and achievements without leaving out his family life. On the 15th of April in 1978, in a hospital in Lexington, Kentucky, Christopher Alvin Stapleton was born. He attended Johnson Central High School where he played football during his time there. For his university degree, Chris attempted to study engineering at Vanderbilt University but he dropped out a year into the course. Like all great country musicians before and after him, Stapleton moved to Nashville in 2001 in a bid to start music professionally. In the same year, he got a deal with Sea Gayle Music as a songwriter. During this time, Chris Stapleton worked with the band The Steeldrivers that majorly produced bluegrass music and in 2007 he became the lead singer of the group. While with them the group had two songs that were hits and topped the bluegrass charts at number 2, at different times. However, Stapleton left the group in 2010. In November of the year Chris left The Steeldrivers, he created the four-man southern rock band The Jompson Brothers where he began performing as the lead singer of the band. The group toured in the region for three years and produced an album in 2010. In 2013, Stapleton again left his second band and became a solo artist with a contract from Mercury Nashville; his first solo song was however not as successful as he hoped. After this letdown, he then decided to focus on songwriting. Some of the music he has written have featured in the soundtracks of movies like; Hell or High Water, Valentine’s Day and the fourth installment of the Alvin and the Chipmunks series; Alvin and the Chipmunks: The Road Chip. Chris Stapleton’s first album as a solo artist; ‘Traveller’ dropped on the 5th of May in 2015. Traveller was a huge success and which got Chris nominated for numerous awards some of which he won. The awards he was nominated for in the Country Music Association Awards were in the categories of Album of the Year, Male Vocalist of the Year and New Artist of the year, he won all three. The song was also nominated for three Grammies winning two of the three: Best Country Album and Best Country Solo Performance, it was so successful that it outsold every other country album in 2016. His style of music is not limited to just country as he sings bluegrass, rock and roll and blues. In some of his songs, Stapleton has been able to incorporate these sounds together. The country musician’s artistry is not just limited to songwriting and singing as he also plays the acoustic guitar and electric guitar. 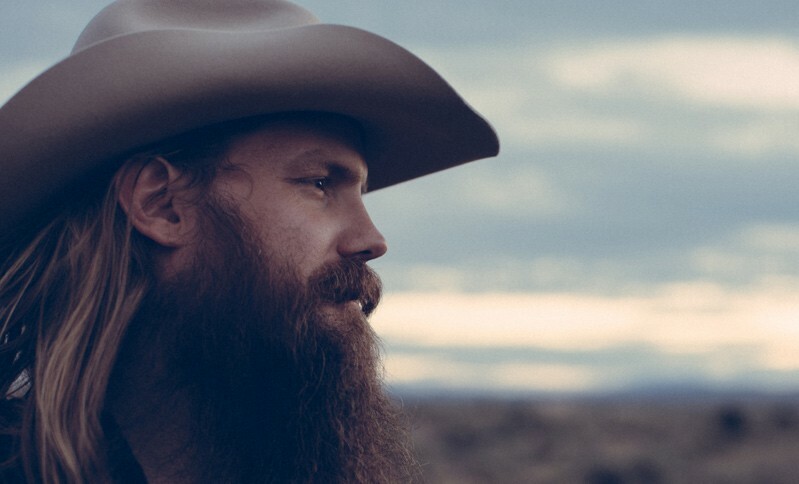 Chris Stapleton has had a long career in music and with his debut album he became a household name in country music, his net worth is estimated to be between $10 million and $14 million. 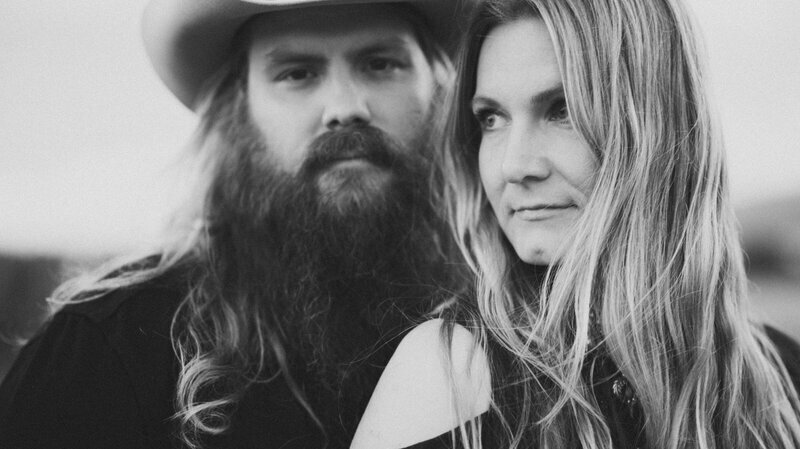 Family, Who is Chris Stapleton’s Wife – Morgane Stapleton? Christopher Alvin was born to Carol Stapleton and Herbert Joseph Stapleton. His mother had a job at the local health department while his father worked in coal mines. Stapleton has two siblings, an elder brother, Herbert Joseph III, and a younger sister; Melanie Brooke, he is the second child of his parents. Chris Stapleton is married to country music singer and songwriter Morgane Hayes who now goes by Morgane Stapleton. The two have been together since 2003 and married in 2007. The Stapletons have now grown and added children to their number. The couple has four children; two of which are twins. There is little information on their children available to the public. Morgane has been very influential in his music; writing and performing as back-up vocals on his records, he is however not the only artist she has worked with. Mrs. Stapleton has written songs and provided vocals for Carrie Underwood, Joe Nichols, LeAnn Rimes among many others.